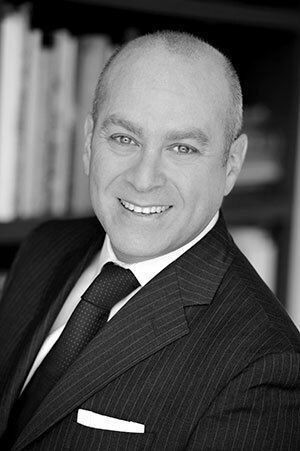 Mordechai Kubany is an innovative entrepreneur, business developer and marketing executive focused on building companies through strategic management, operations, sales and financial advisory, mergers and acquisitions. Expert in fostering growth and geographic expansion, his career spans more than 20 years in the technology, media and financial sectors working with top-tier companies. Mordy is highly regarded by clients and business partners as a creative problem solver and key advisor who helps businesses identify opportunities and achieve significant results. As the founder and CEO, he currently provides strategic financial and business development, and management services that serves a distinguished and international list of companies and family offices in a wide variety of industries in both mature and burgeoning markets, all of which seek him out for his ability to create and negotiate strategic partnerships and provide access to the broadest and most dynamic markets possible. Prior to founding Double Kappa, Mordy was the CEO and owner of a boutique financial services firm specializing in private financing deal structures, capital raising, valuation projects, and financial solutions tailored to high-net-worth families and businesses. Preceding his career in finance, Mordy was Senior Vice President of Business Development for Media and Beyond, a company founded by Daniel Langlois, the creator of 3-D modeling software Softimage, a solution provider serving the digital media, animation, film, post-production, and broadcasting industries. In this capacity, Mordy was responsible for dramatic increases in overall sales, as well as overseeing new marketing initiatives, business partnerships, and business-development strategies. As a talented entrepreneur and technology professional, Mordy has also provided consulting services to companies such as Sputnik 7, Accenture, Razorfish, Viant, and SGI Technologies. Born and raised in Israel, he came to the United States just after finishing his military service as chief engineer in charge of a fleet of F15s and earning his degree in engineering, computer science and business management from Tel Aviv University and Master Business studies at NYU. He is fluent in English, Hebrew and Arabic.